We plan to construct a building with the necessary facilities to accommodate up to 50 girls. In order to make this possible we have purchased a real estate with a size of 2 acres. There we plan to provide a beautiful and spacious home nearly 20000 square feet/ 2000 square meters for the girls, consisting of 4 children’s rooms with good bathrooms, 1 bedroom for the staff and 1 for the resident mother of our home as well as 1 study and prayer hall, 1 kitchen and dining hall, 1 outside study spot with stone stairs to sit on plus 1 cottage for our volunteers. The property itself is set on hilly grounds, giving it a lovely view over the coconut trees in the valley and the sunrise in the morning sky. Besides, a variety of 16 magnificent tree species including mango, banyan and jack fruit as well as scenic rocks are scattered through the area. This means that the girls get the chance to study, play and relax in a beautiful courtyard, surrounded by singing birds and the scent of flowers in the air. It is situated in a quiet rural neighborhood, exactly the type of environment our girls need to grow up happily and peacefully. The design of the new project was done by Architect JoseMon,“Design plus Architects” who is a well wisher and a frequent visitor at Sukritham Home. He loves children and had volunteered to design and supervise the construction work of our new project. 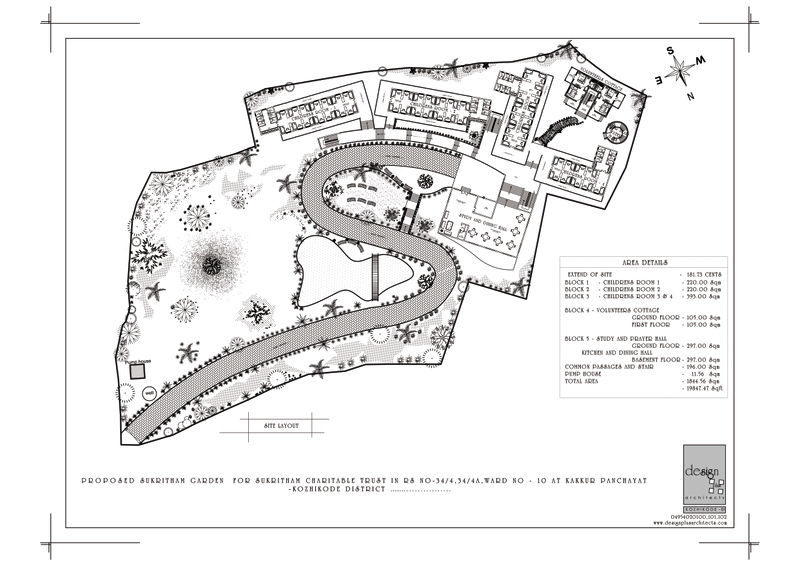 He had beautifully designed the landscape and the buildings to make it a place where children can play and grow up in peace. 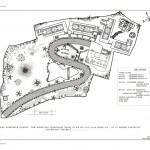 He gave the name Sukritham Garden to our project.